Actually, it’s a different Osborne family and the story is totally heartwarming. Jennings Osborne of Little Rock, Arkansas, started his Christmas display when his six year old daughter Breezy, asked her Daddy to put up lights. What started with 1000 lights grew to over 3 million. As you can imagine, Mr. Osborne’s “spectacle” drew a tremendous amount of traffic to his neighbourhood to which some of his neighbours were not so impressed. 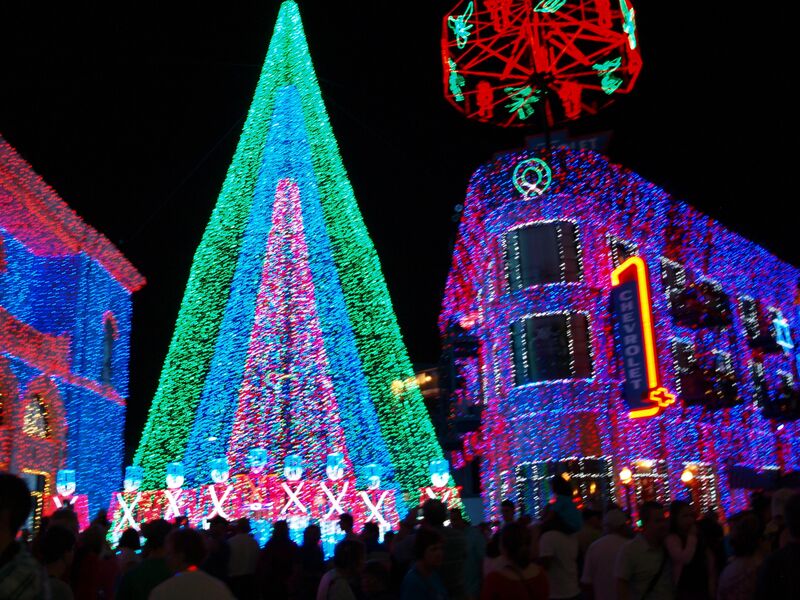 After a seven year legal battle that ended with the United States Supreme court, Mr. Osborne’s lights were shut down. Enter Disney. 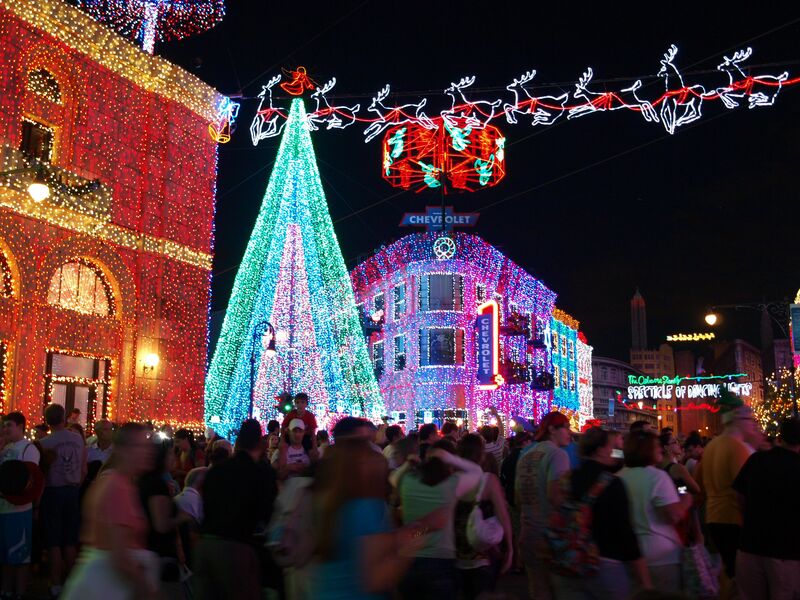 Mr. Osborne donated all his lights to Walt Disney World where all of his original lights plus 3 million more are set up annually on the Streets of America at Disney’s Hollywood Studios. The result is breathtaking. 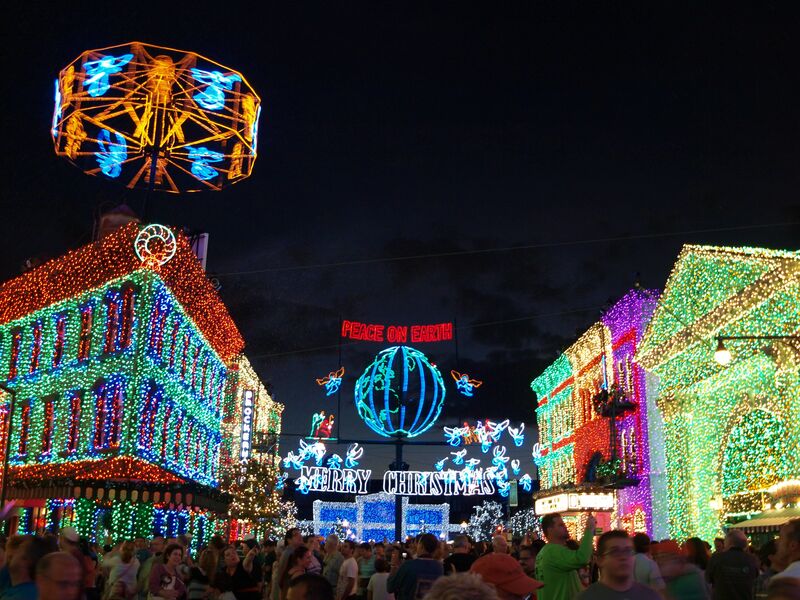 In fact, if you go, make sure you are on the Streets of America when they flick the switch and start the show. There is an audible gasp from thousands of awestruck park attendees. 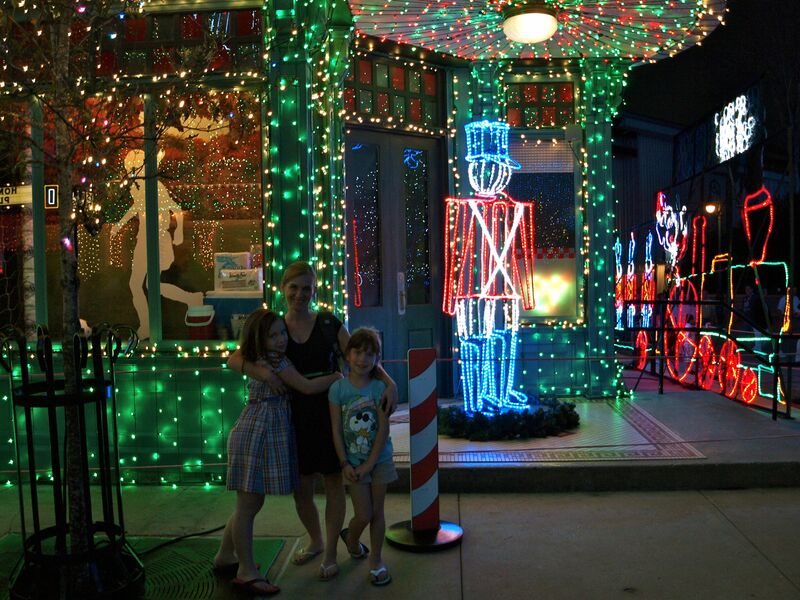 You can stroll the streets and watch as the lights dance and flicker to Christmas music. It was one of the most spectacular things I’ve ever seen in my life. Simply amazing. Fair warning, this will probably forever ruin you for your local street display.